We all can’t afford $190 dollar cleats. But we still got standards. Let WPW contributor Vic Chu help you get your swag up even if your funds are down with these great bargains. 1. 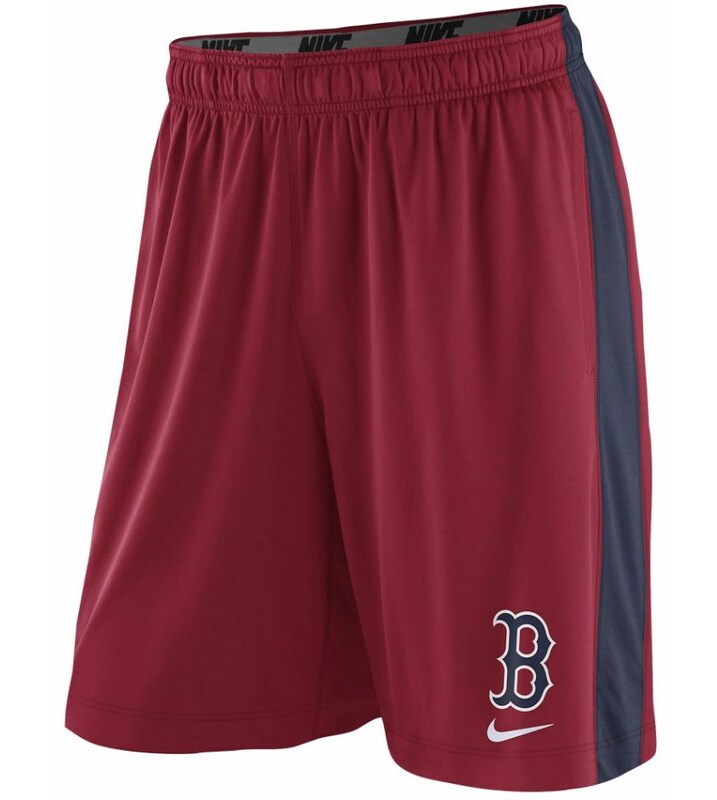 Nike MLB Dri-Fit Fly Shorts, $27 each or 2 for $44.97 – Not the on-field authentic workout shorts but an equal in terms of quality and style. Grey Cooperstown logo shorts available for certain teams. Price is excellent at one for $27 or two for $44.97 (around $22.50 a pair when two purchased). 2. 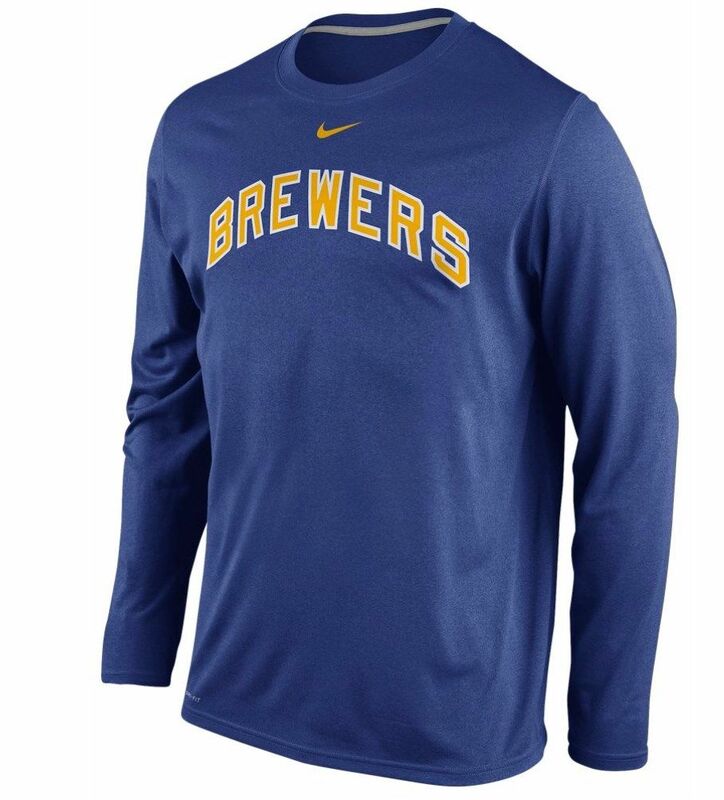 Nike MLB Dri-Fit L/S Shirt, $23 – Will work well as a loose fitting undershirt or practice top for cooler weather. 3. 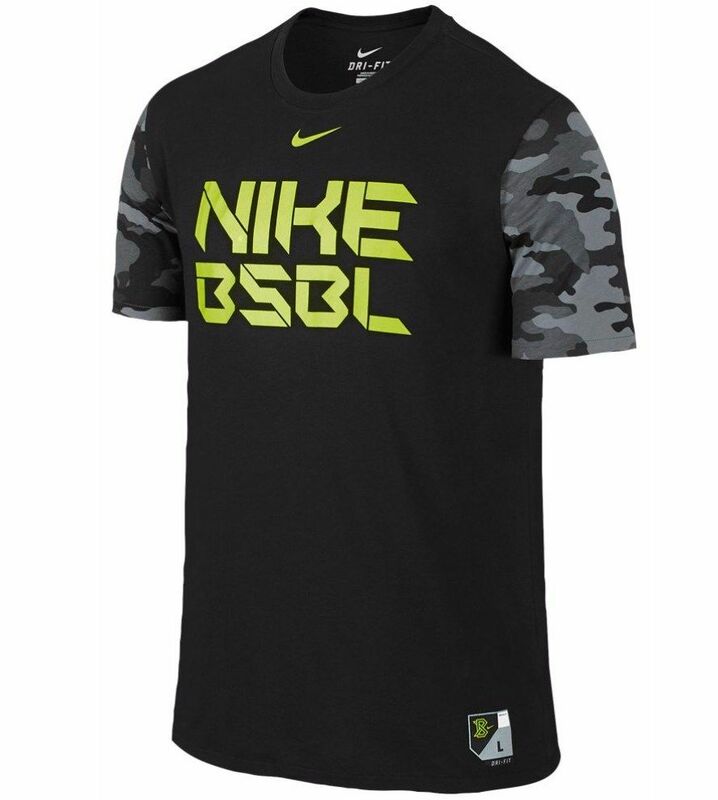 Nike Baseball DFCT T-shirt, $20 – Sweet looking Dri-Fit shirt with camo sleeves with many sizes still available. The grey camo and black/volt camo colorways look good. 4. 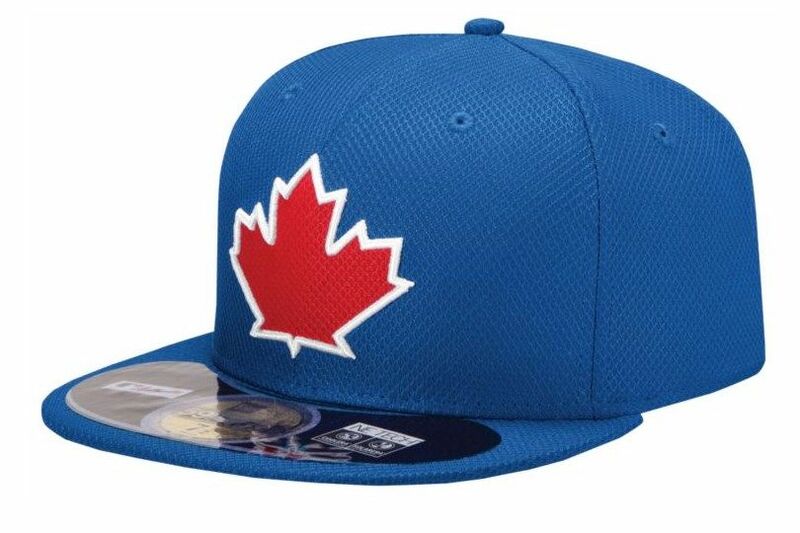 New Era 5950 Authentic Caps, $28 each or 2 for $44.97 – The deal for 2 caps is a steal since they normally sell for $35 regular price. 5. 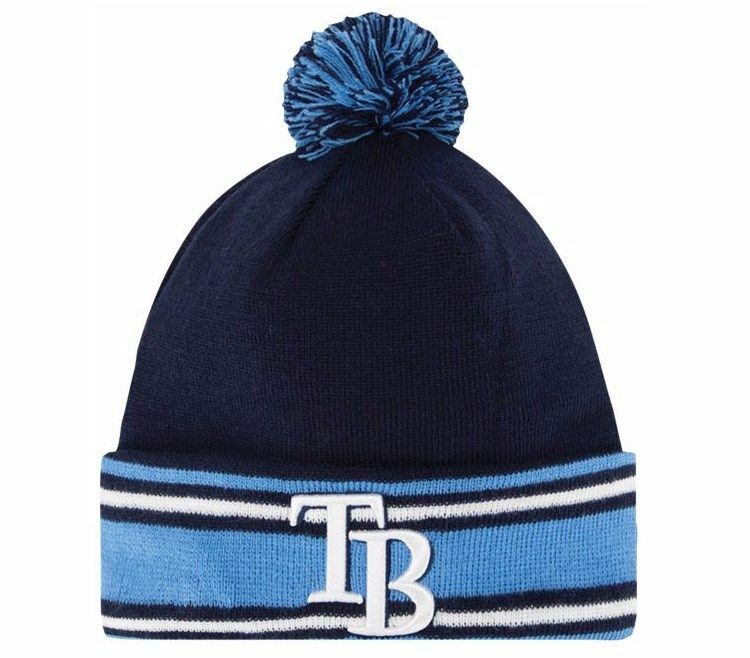 New Era On-Field AC Knit Hat, $20 – On-Field knit hat of MLB. I could do without the pom but some people like them. 6. New Era 5950 Diamond Era BP Cap, $20 – One of my personal favorite caps. 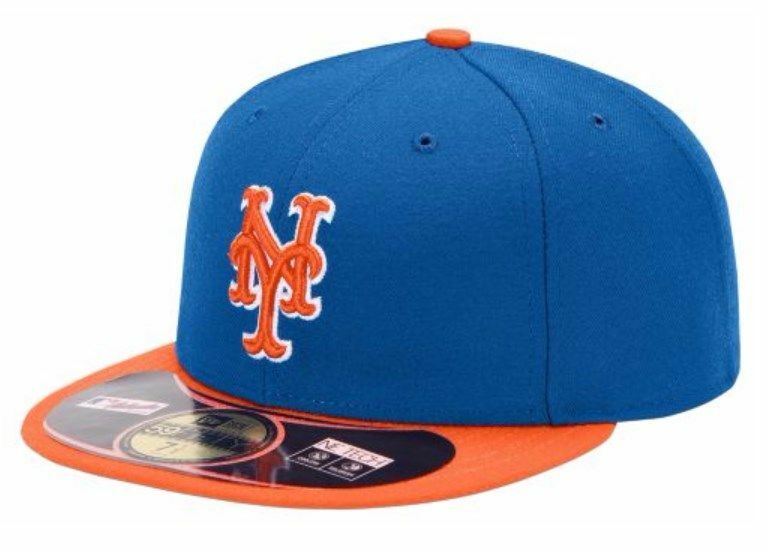 Lightweight, extremely breathable material different from the On-Field authentic style cap. Great for players who sweat a lot or play in warm weather. 1. 20% Off All Clearance Bats – There is a good selection of ash bats for a bargain price. I’ve found the Ralwings Bone Rubbed series of bats to be quite durable with good pop and feel. 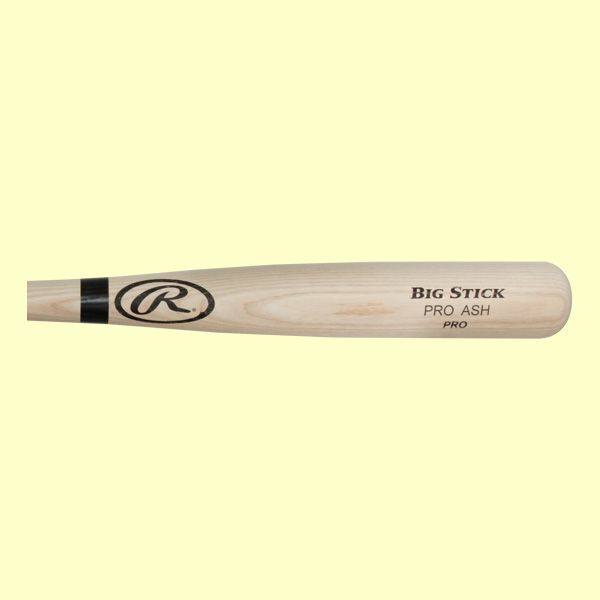 With all bats, balls off the end and handle will most likely result in cracks or breaks but for about $32, the price doesn’t get any better for a quality, pro-grade bat. 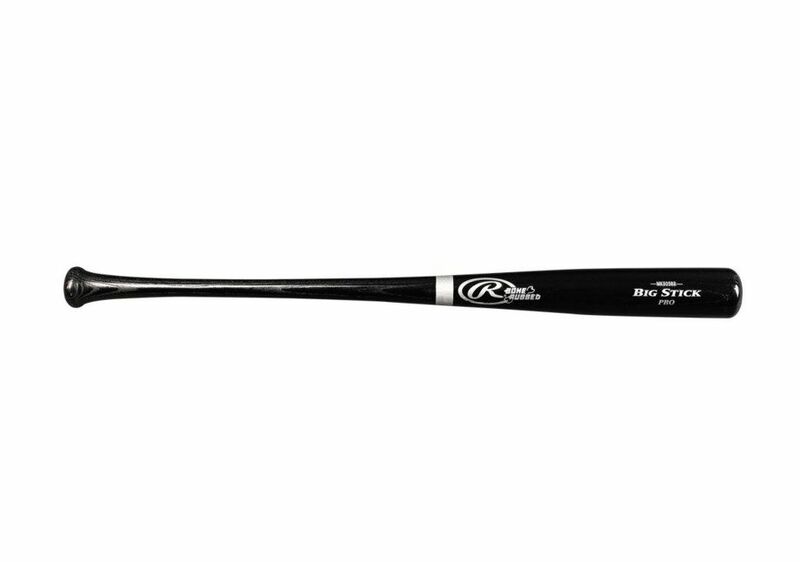 If you’re looking for a large barrel, thin handled wood bat with good balance, go with the 143BR or MK809BR (Matt Kemp turning model). 2. Good Deals on Batting Helmets – For $20 you can find a large selection of Rawlings batting helmets, in the older Coolflo or more current Pro Comp styles. 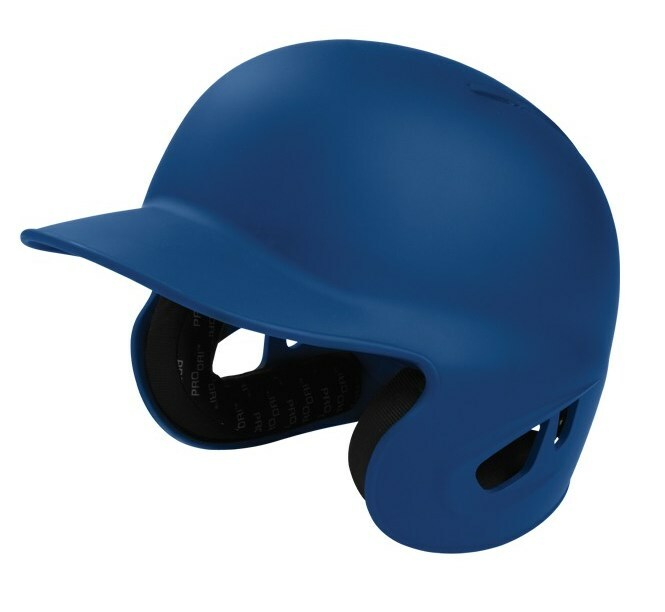 One helmet that I have ordered in the past was the Rawlings Electron Batting Helmet in a rubberized matte finish with adjustable dial-fit knob for adjusting head sizes from 6-3/4″ to 7-5/8″, similar to a hard hat. Although not shown, the ear padding is Pro Dri and the headband/top of head consists of a mesh/neoprene padding. Just a comfortable, adjustable helmet, good for sharing with teammates with differing head sizes. 3. 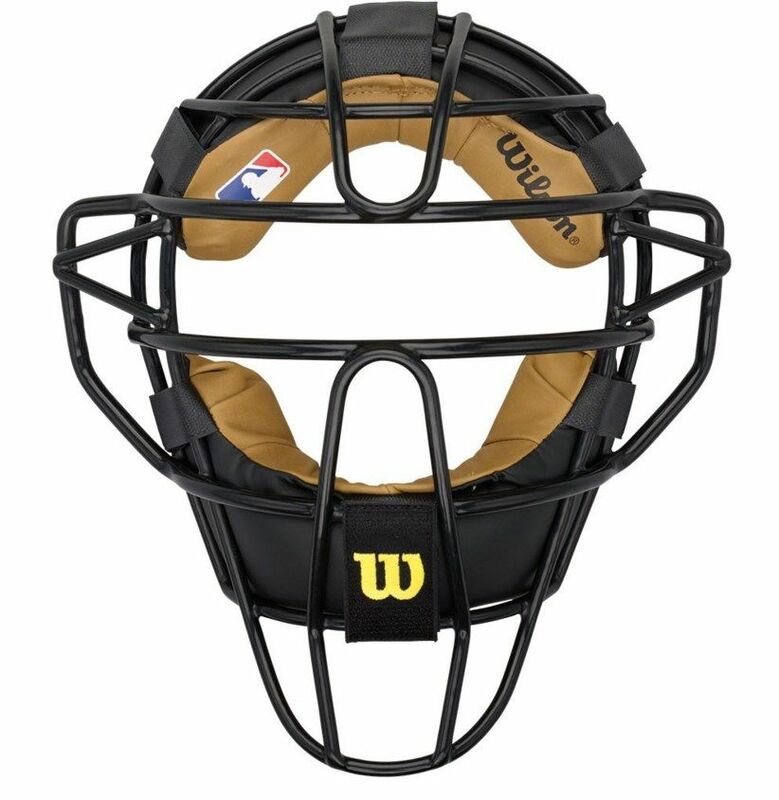 Wilson Dyna-Lite Steel Catchers Mask with Non-Wrap Pads, $37 – Through the years, Wilson consistently makes a solid, steel catcher’s traditional mask, balanced in weight and protection. This model comes in a more standard padding style compared to the other Wilson wrap-around padding surrounding the inner side of the steel cage to lessen the shock and foul tips. One of the better masks on the market as an alternative to the high-priced titanium cage masks from Rawlings, All-Star and Nike (can be found rarely on Ebay). 1. 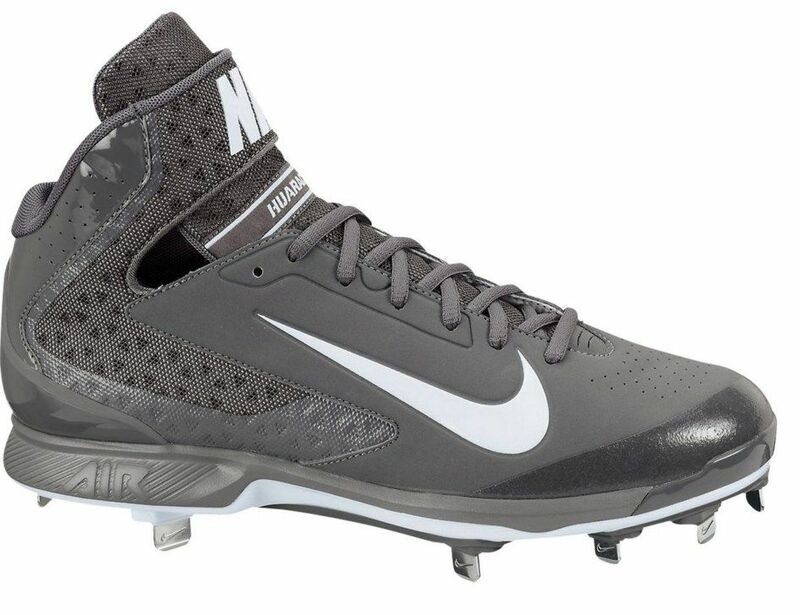 Nike Air Huarache Pro Mid Metal Cleats, $40 with 15% off = $34 – I own and currently game these shoes and they are, in my opinion, the best baseball Huaraches produced to date by Nike. The site still has many of the common sizes available and a variety of colors, but I prefer the gray/white, white/black and black/volt colorways. They provide excellent ankle support with a thick, cushioned velcro strap for those who like mids, are lightweight and all-around comfortable. I highly recommend this metal cleat especially at this price of $34. 2. 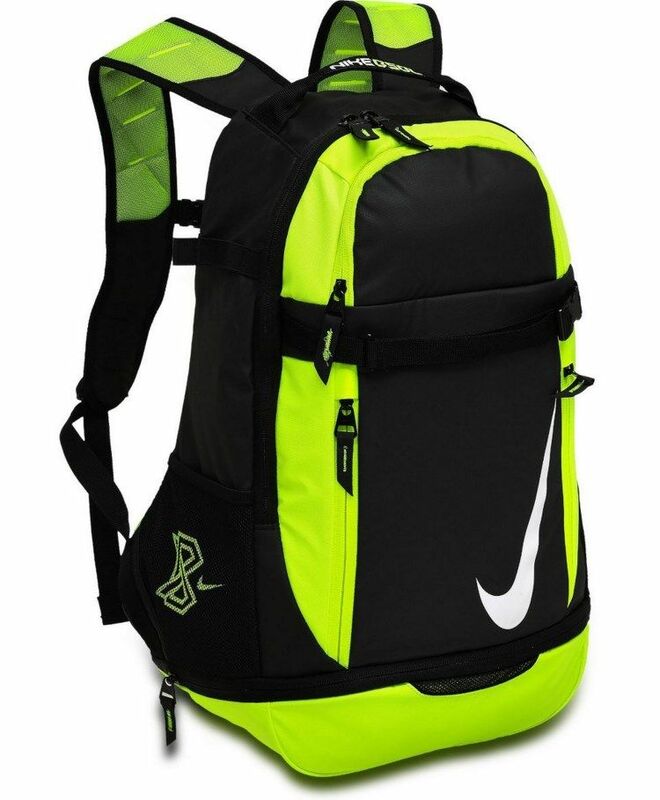 Nike Vapor Elite Bat Backpack, $50 – Lightweight, multi-pocket backpack with nice volt accents. I have this bag and it has a good amount of space to fit 3 gloves inside, two bats on the side holsters, all accessories such as batting gloves, pine tar stick, seeds,or sunglasses and an insulated lower pocket to keep liquids cold. An exterior buckle holds one batting helmet and bottom separate, zipper pocket holds cleats. Shoulder straps are Nike Air Max, super comfortable with an added strap that goes across the chest to distribute the load off the shoulders. There is also a hook to hang the pack on the fence. 1. 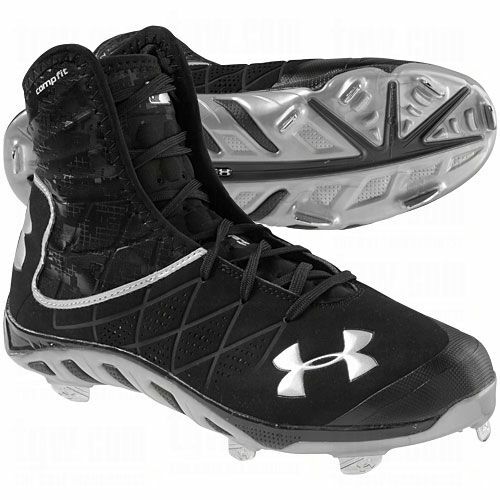 Under Armour Spine Highlight Mid ST Metal Cleats, $40 – I’ve worn these cleats as a catcher and the ankle support along with the Micro G cushioning make this one an absolute steal at $40. The CompFit ankle is made of neoprene and wraps around the ankle snugly but not too stiff. The laces can be worn high for maximum support or low for a looser feel but still with stability around the ankle. The Spine midsole provides good low-to-the-ground feel on all surfaces from dirt to grass. Size 10s are still available on the site in the all-black colorway. Wilson MLB quality gear at an affordable price. The adult prices are cheaper than the intermediate sizes, which is odd, but the gear will not disappoint. It is extremely lightweight, and uses new features on the chest protector and leg guards I have not seen before. First off, the chest protector has Throw-Motion stretch zones and constructed as two pieces so that it moves with the body while performing all the duties as a catcher. This feature isn’t shown anywhere on the internet but I think it is important to note. Lastly, the leg guards have a lighter, polyester-type material on the upper knee caps to reduce weight. The leg straps have neoprene covers for comfort while squatting and a 4-point calf harness that removes the straps from behind the knee to reduce chaffing and irritation. 1. 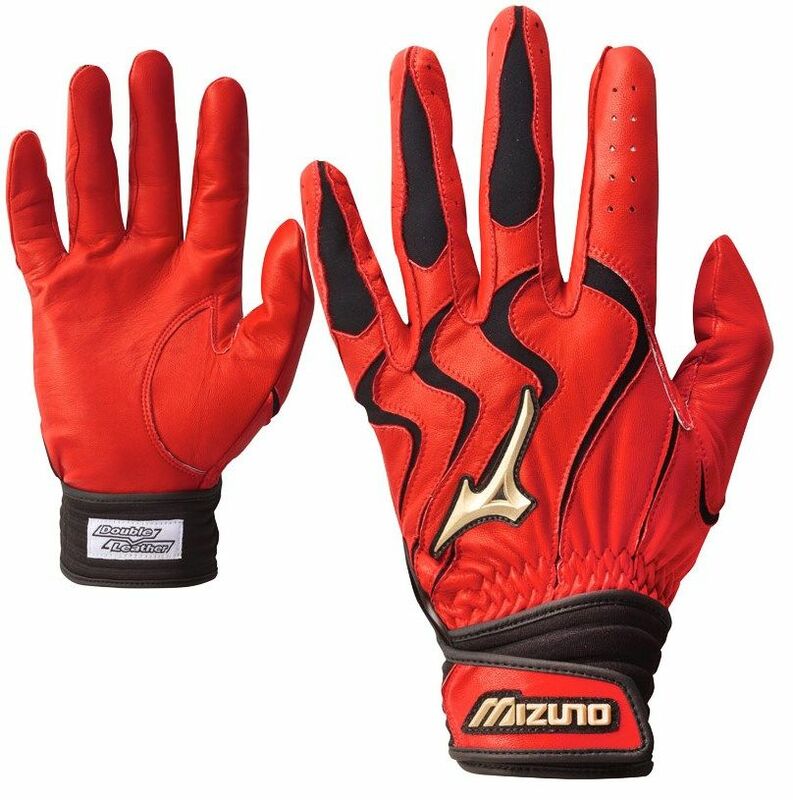 Great Deals on Batting Gloves – You can find Mizuno Pro batting gloves for $25 and Mizuno Global Elite gloves for $22. The Pro version has a digitized cabretta leather palm, while the Global Elites have a thick, double leather palm. Both will perform well, but the Global Elites will last much longer and be a good batting practice glove for taking a beating in the cage or practice. I currently use the first generation Global Elite gloves and they have lasted 4 seasons with care taken. The double leather still provides good tactile feel and will soften and conform with use. Yoenis Cespedes used these same gloves in grey and orange before switching to a new Mizuno glove during the postseason that is currently unavailable to the public. Some other MLB players using the Global Elites include Billy Butler, Jose Abreu, David Peralta, Stephen Piscotty, Hank Conger and Andrelton Simmons. 1. Rawlings Minor League Gamer Ash Bats, $50 for 1, $90 for 2 – I came across this deal while looking for more Rawlings Bone Rubbed ash bats. The bats can be any turning model but will be the length you select. Justbats.com offers a 30-Day Money Back Guarantee on these bats if they break or if you end up not liking them. According to their description on the website, send back the broken/disliked bat and they will replace the bat or provide a full refund. I have only seen guarantees on composites or bamboo bats until I came across this deal. My suggestion would be to use the bat as much as you can within the 30 days and if it breaks during use or you decide it does feel right, return the bat and get a new one or refund. The return shipping will be about $12 but I believe the deal is worth the hassle.